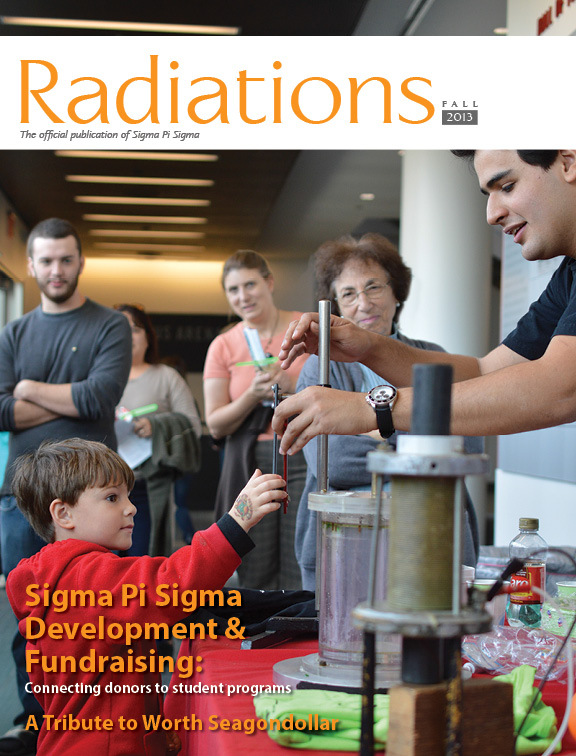 Society of Physics Students (SPS) and Sigma Pi Sigma chapters rely on both internal and external funding sources to bring science outreach activities to the public. Shown on the cover, a crowd gathers around the SPS table during Family Weekend at Rensselaer Polytechnic Institute. Josue San Emeterio, the student team leader, explains the chaotic double pendulum to a young scientist.